Dr. Edel O'Connor is the business development manager for the Irish Maritime Development Office at the Marine Institute. In recent years, Edel has led the strategic development of the national marine technology programme and SmartOcean initiative to 'marinise' Ireland's strengths across ICT and engineering into new areas of the blue economy. 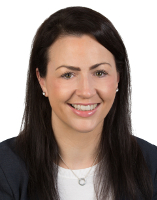 In this role, Edel has led the development of international partnerships across research and industry, supporting the growth of Ireland's reputation as a compelling place to do business in this sector. Edel has also been closely involved with the strategic development of actions associated with Ireland's Integrated Marine Plan -Harnessing Our Ocean Wealth, and in particular led a number of highly successful events promoting Ireland's digital ocean opportunity.